Cleaning up is the downside to cooking in the kitchen. Most of the rooms in your house don’t need too much attention, but your kitchen needs to be maintained daily. If ignored, your kitchen can become a disaster, and even hazardous to your health. But there are some quick and easy ways to avoid cleaning the kitchen several times a day after each meal. Here are some quick tips for time-saving cleanup to maintain that wholesome kitchen that you love so much. A good work triangle is defined as a well-designed arrangement between your cooktop, sink, and refrigerator. This setup gives a sense of convenience to people moving around the kitchen. If these three components are far apart, then there’s a lot of risk of messiness and spills across the kitchen. Minimize the distance between these three critical parts of the kitchen and you’ll minimize your messiness. An island can often compensate for a poor work triangle. The dirtiest place in any kitchen is the seam between the floor and the vertical toe-kick. That can be eliminated by “rolling” the edge of the floor up to the toe-kick and replacing the right-angle joint with a smooth curve. This technique is easiest with vinyl, linoleum, and tile, but it is also possible with wood if you have the edge pieces custom-milled. Ceramic tile flooring is beautiful but needs constant attention. To make tile look cleaner, use large squares with narrow grout lines. Large-format tiles between 24 and 48 inches are another great flooring option. Glazed tiles are impervious to kitchen spills, and the minimal number of grout lines keeps scrubbing to a minimum. Anything that keeps you from having to haul appliances out, wind up their cords and put them away again makes it easier to keep the kitchen clean. Start using closets to hide your large appliances that you only use a few times a year. Using pull-out attachments for your lower shelves will revolutionize the way you store tools and equipment —and it will also change the way you cook. It makes no sense to store a stockpot behind cooling racks, baking sheets, and a plethora of sauté pans. You need to be able to get to all your kitchenware quickly and easily. Quality cookware is at the heart of any serious cook’s kitchen. You need the best instant pot, pans, and and knives to ensure an efficient and clean cooking workspace. Don’t jeopardize your time and space by investing in poor quality cookware. You also want to ensure that you’re using the right cookware when making your meals. For example, sautéed foods turn out best in pans that transmit heat quickly, while braised foods need pans that retain heat over long periods of time., You shouldn’t cook white sauces or tomato sauces in unlined copper or aluminum cookware because those ingredients react poorly with the metal, which will waste dozens of minutes for you when washing the dishes. Getting the best quality kitchenware will ultimately save you a lot of money. These tools will serve you in the long-term because of their reliability and durability. No one wants to talk trash, but it is a necessary evil when you actually use your kitchen to cook. Many people forget about the trash can when designing their kitchens, which often results in an unappetizing garbage bucket sitting in the middle of all your delicious food. Instead, build a space for your trash that is convenient to reach, but also discreet. Having your recycling bins and trash cans on rollout shelves in one spot makes it a snap to sort items. It’s a big time saver if you can avoid multiple trips to the garage or even outside, where recycle bins often reside. It is important to maintain a healthy home but the kitchen falls down on the list of priorities. 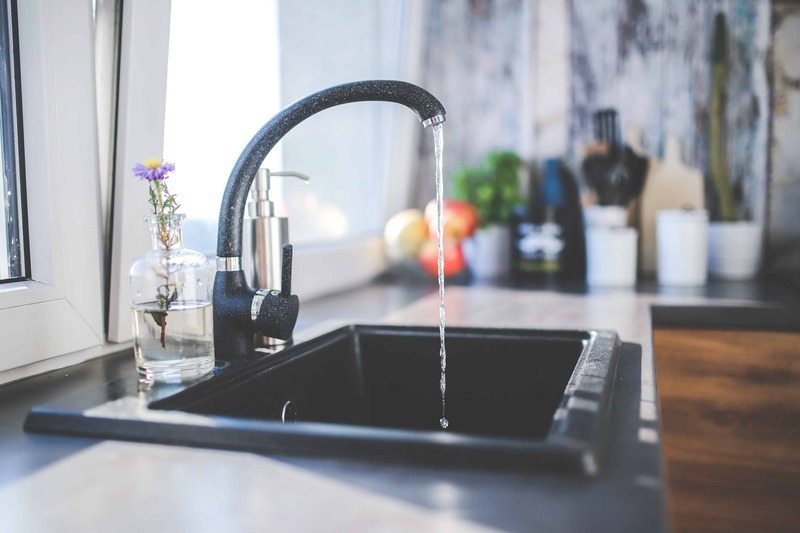 Needless to say, a well-maintained house can often fall apart because of an unclean kitchen, so make it a priority to keep your kitchen healthy and happy.